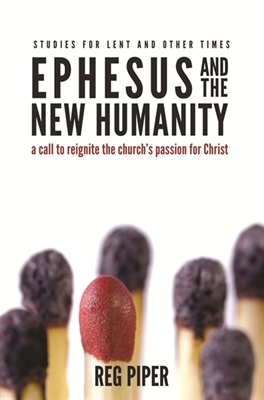 At church, we are currently looking at ‘Ephesus and the New Humanity: A call to reignite the church’s passion for Christ’ by Reg Piper. I, myself, am not a big follower of ‘daily devotional’ book(lets) but since my minister is encouraging us to follow this one for the Lenten season I thought I’d give it a try. I should also say to start that my knowledge of the Bible tells me that it doesn’t actually call us to read the Bible for ‘quiet times’, which is another way of describing ‘daily devotions’. But the Bible does call leaders to meditate (think) on the Law (which is in the Bible), daily (Joshua 1.8). And God’s will and perspective are written in the Bible, even through the stories, songs, visions and letters of people, so it’s helpful to reflect on them to get to know God. And, of course, “All Scripture is God-breathed and is useful for teaching, rebuking, correcting and training in righteousness, so that the servant of God may be thoroughly equipped for every good work.” (2 Timothy 3.16, 17). So it’s good to read it for that. The other thing is that the Bible is clear that following festivals doesn’t affect your righteousness with God, following the season of Lent is not essential. In fact, it might be of more help to follow these devotions again another time, after you’ve had enough time to reflect and grow in your progress in following Jesus.